If you’re a nonprofit and you haven’t already jumped on the bandwagon of infographic creation—or don’t know where to start—this guide is for you. Beyond just another social media craze, infographics are the perfect way for your organization to cut through the Web din, raise awareness and attract unprecedented support for your cause. Instead of elaborating the usual annual report—which many people don’t take the time to read anyway—why not try giving an account of your impact with a creatively designed infographic? Not only are they ranked as a type of content with a high ROI, they are also known to have a long lifespan on social media, with the best ones still racking up social shares several years after they first went live. 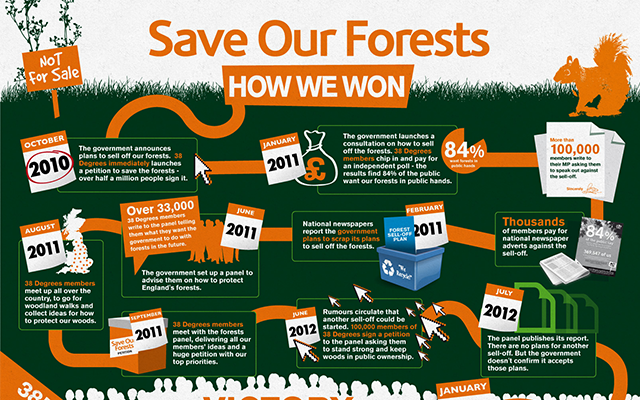 So, what is necessary for an effective infographic? We’ve compiled a practical guide for nonprofits to consult in their journey to social media stardom and—most important of all—heightened awareness of their cause. Although you might be tempted to start off with information on your organization and what it does, the best way to get your audience’s attention is to begin with the specific problem you’re trying to solve. 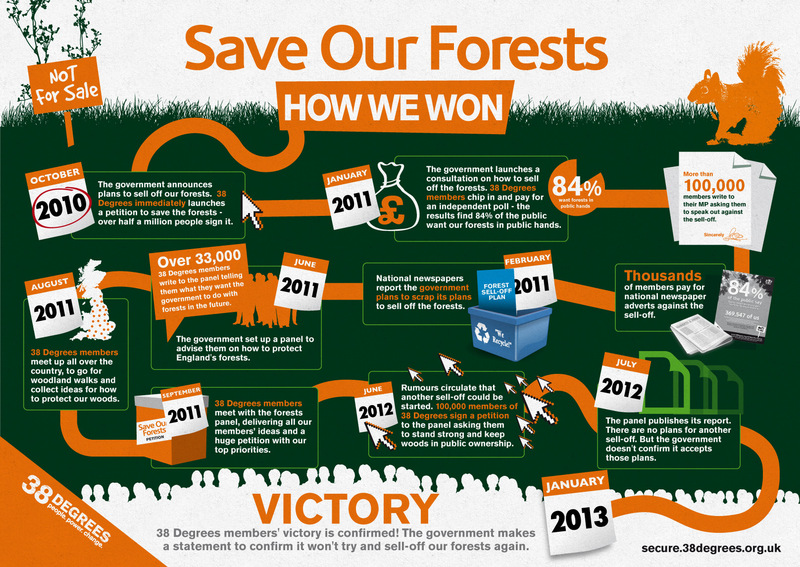 Another excellent example is this widely shared infographic designed by The Humane Society. Emotionally appealing copy combined with expertly chosen colors to highlight important details make this piece of visual content particularly effective in compelling viewers to take action. To stand out from the rest of infographics already circling the Web, take the time to frame your problem in an unconventional way by using unique comparisons and placing data into a larger context. 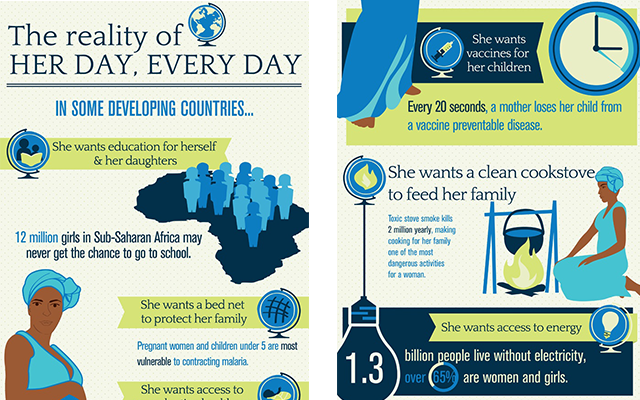 Take, for instance, this highly impactful infographic from the Gates Foundation. 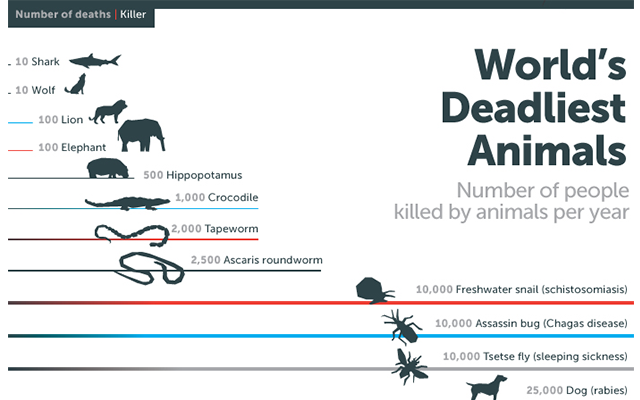 With a simple but provocative premise—which are the deadliest animals in the world?--it weaves a perfect story that builds up to a powerful climax that challenges preconceived notions: The most dangerous animals to human beings are not lions, snakes or even other humans, they’re tiny but lethal mosquitos. A tried-and-true method of attracting more views and more support for your cause is to make an appeal to human emotions. Plenty of research confirms that any type of content that incites high-arousal emotions us more likely to get shared than content that strives to be objective and neutral. An effective way to accomplish this is to share a human interest story of someone who is directly affected by the problem you are working to solve. 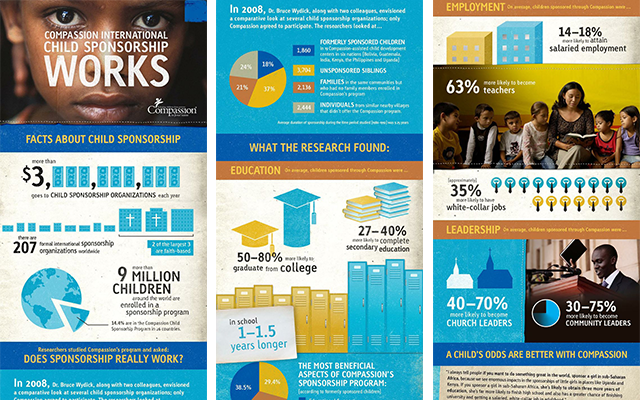 This infographic from Student Advocacy, for instance, combines concrete data with a real-life case of a boy with a name, a face and a story of challenges and triumph. Or take the following example from the nonprofit Possible. 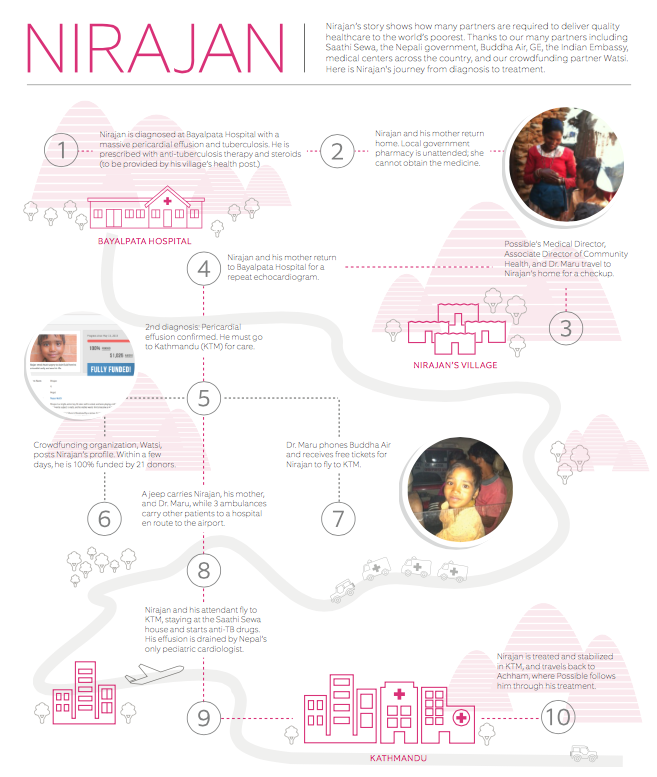 With pictures and simple but visually appealing icons, this infographic tells the story of how this organization was able to mobilize several partners to provide quality healthcare for a child whose parents couldn’t afford it. What can you do, though, when you don’t have access or consent to publish a human interest story? 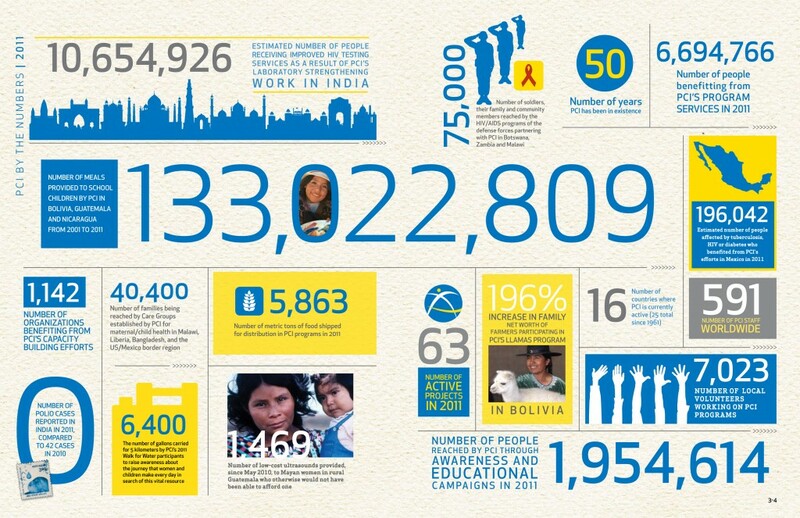 You can resort to the technique used in the following infographic by the United Nations Foundation. By using the profile of a typical female living in the poorest parts of Sub-Saharan Africa, this piece of visual content simultaneously tells the story of a woman’s wishes for her own life while placing her experiences into the wider context of aggregate data. You can also generate grassroots support for your cause by launching provocative campaigns through shareworthy infographics. 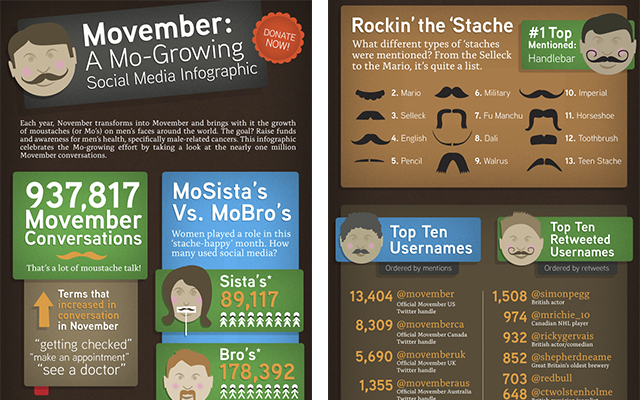 Take a page from the Movember campaign’s book. An annual event in which supporters grow moustaches to raise awareness of men’s health issues such a prostate cancer, the Movember campaign has been incredibly successful at fighting for a worthy cause while having fun at the same time. 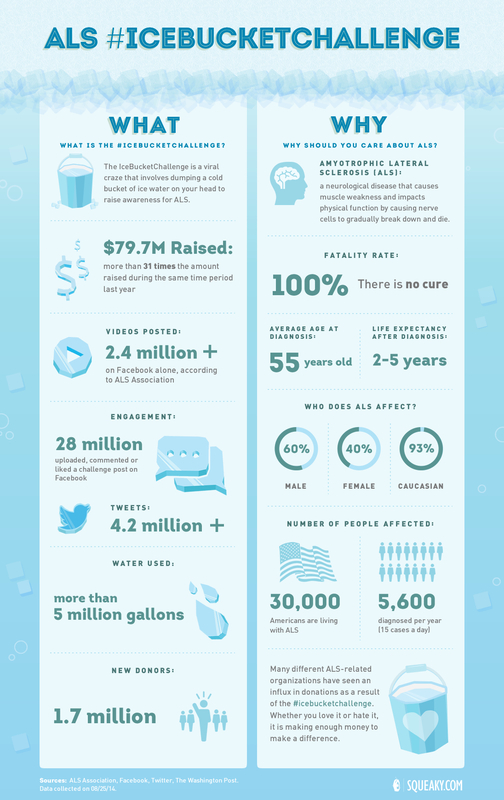 Another good example of a viral social media campaign bolstered by the use of well-designed infographics is the ALS Ice Bucket Challenge. 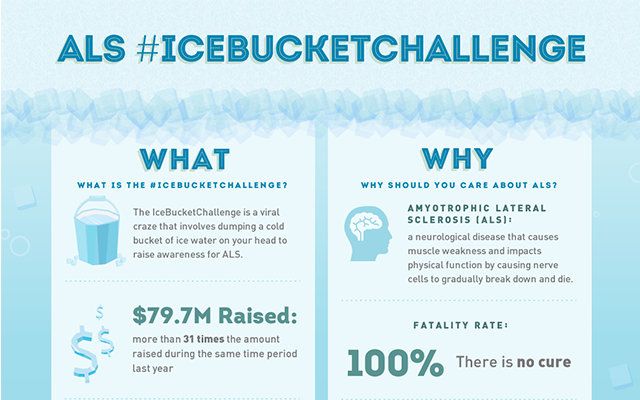 Although most of the virality was triggered by the sharing videos of celebrities and other public figures dumping buckets of ice water over their heads, infographics like the one below helped to maintain the focus on the real cause behind the challenge and the impact created. Keep up the momentum created with previous infographics by publishing updates and progress reports, like the one below from the nonprofit 38 Degrees. 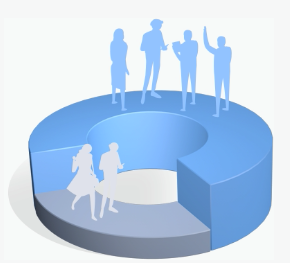 Supporters want to know that their efforts and contributions are having a real impact in solving the problem at hand, so provide them with information that will energize and motivate them to continue championing your cause. 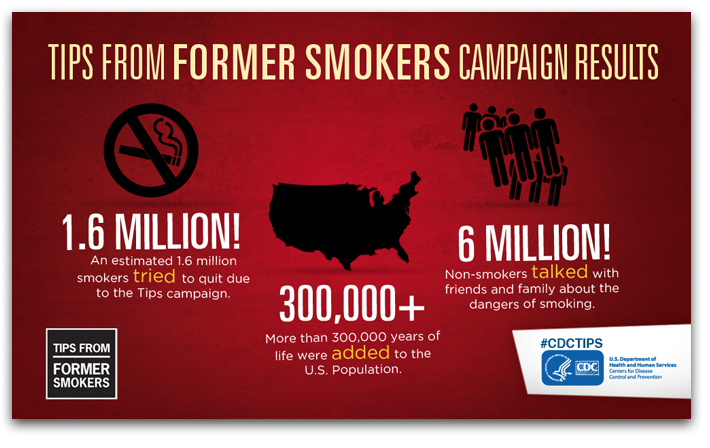 This campaign update from the CDC’s Tips from Former Smokers is another example of how a simple infographic with the most effective design decisions, such as well-chosen colors and proper contrast, goes a long ways in catching people’s attention and providing information that can be processed within seconds. Every start of the year, nonprofits, like private companies, must review the previous year’s work, identifying both the progress attained and the areas in need of improvement. While there are donors and stakeholders who will make the effort to review these annual reports, most people will not have the time to appreciate all the hard work put into them. To ensure that this valuable information doesn’t remain within the pages of a report, try using key information to create a visually engaging infographic. The piece below, for example, was created by the nonprofit Memorial Assistance Ministries. 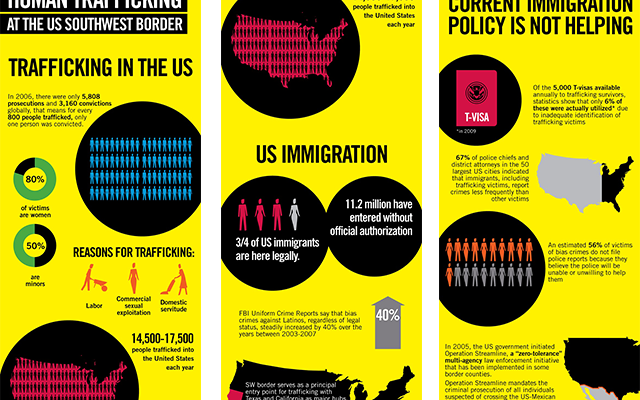 By using appropriate color combinations to make certain figures more visible than others, as well as effective icons, this infographic does its job of communicating a ton of useful information in a single glance. 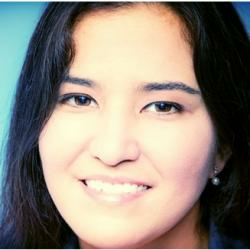 Another good example comes from the PCI Foundation. By sticking to a maximum of two to three colors and expertly applying the principles of hierarchy and contrast--as well as minimalist flat design--this infographic calls attention to the most important achievements made in the previous year. It was also successful in conveying the theme of their annual report: transformation. 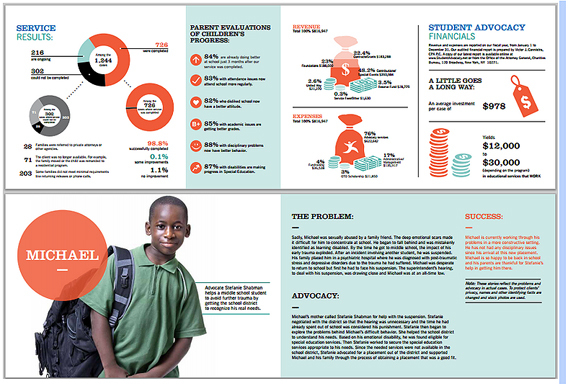 Infographic annual reports are also the perfect opportunity to give donors and stakeholders a visual representation of where their contributions are going. 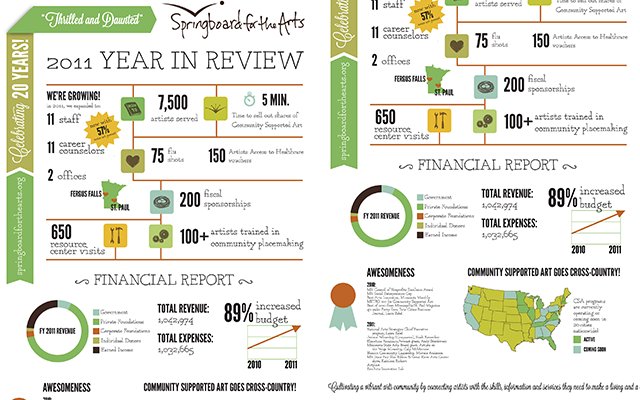 The following piece created by the Springboard for the Arts, for instance, gives a quick but useful overview of the most relevant financial figures, such as the year’s total revenue and expenses, as well as a circular graph to illustrate how resources were allocated. One way to combine the magnetic appeal of vivid images with the communicational prowess of infographics is to place a captivating photo in the top part of your piece. The following infographic from the nonprofit Compassion does just this. By resorting to a powerful image coupled with revealing numbers, this infographic appeals to both the mind and heart of viewers. Now comes the part where all the hard work you put into creating your infographic should translate into concrete actions toward your cause. Include toward the end of your piece of visual content a prominent and eye-catching call-to-action, encouraging supporters to donate, sign a petition or share the infographic with their networks. 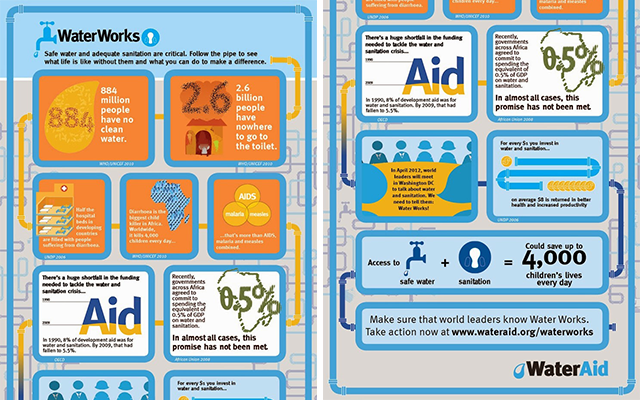 In the WaterAid infographic below, for instance, there’s a strong call-to-action at the end which directs viewers to a specific landing page. 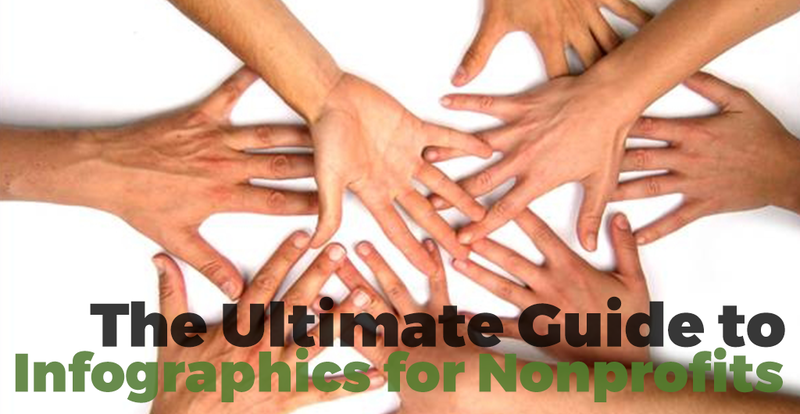 Many nonprofits make the mistake of promoting their infographic via email in PDF format. Not only will most recipients not bother to even open the file, they will also not be able to share it with others. The best way to prolong the lifespan of your infographic is by making it easily shareable and embedding it into an attractive landing page or your blog. With so many people accessing sites on their phones, you must make sure, however, that your landing page is fully responsive so that your infographic doesn’t become illegible or hard to read on their screens. Also, a smart tactic is to design your infographic so that it is made up of several blocks that can be easily cropped and posted on social networks. Typically, sections measuring 500 x 500 or 500 x 250 pixels work best. Although this is not a rule set in stone, doing so will ensure that you get the most out of your infographic in terms of virality since you will be able to share different sections of your infographic at a time, as seen in the example below. This is part of an infographic on Africa’s poaching crisis from the African Wildlife Foundation. To further optimize your infographic for shareability, you must ensure that there are prominently featured share buttons on your landing page. Also, you should make sharing as easy as possible for viewers by allowing titles and summaries to automatically appear when they hit a share button. If you don’t have a graphic designer in your team or if hiring one isn’t in your budget, Visme gives you the tools you need to create professional-looking infographics quickly and efficiently with its easy-to-use drag-and-drop software. Its intuitively designed interface and extensive infographic library, with more than a hundred fonts and thousands of icons and graphs, enables even non-designers to develop effective and stunning data visualizations that are customized to their needs. If you want to try your hand at creating your own fun and informative infographics that you can proudly share with your network and supporters, then try Visme for free or take a look at what others have already created. 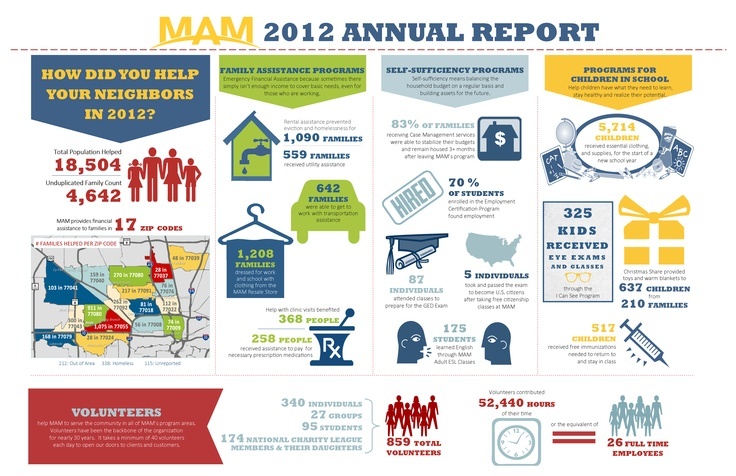 Thank you so much for including our 2012 Annual Report in this article, and for your nice comments on our work.